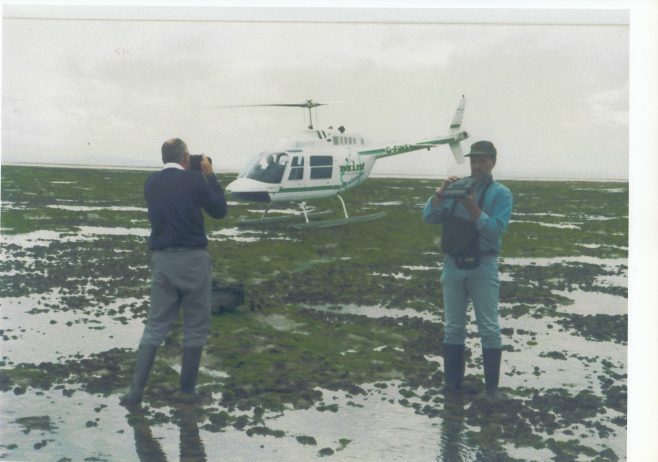 North Western & North Wales Sea Fisheries staff carrying out a mussel survey on the South America skeer near Barrow, 1994. Bill (The Weasel) Cook, Scientific Officer and Keith Willacy, Deputy Chief Fishery Officer. The helicopter was on hire from Blackpool airport.